Just a quick hello today! I have lots of out-with-the-old-and-in-with-the-new projects going on and have only a moment to spare to visit today. 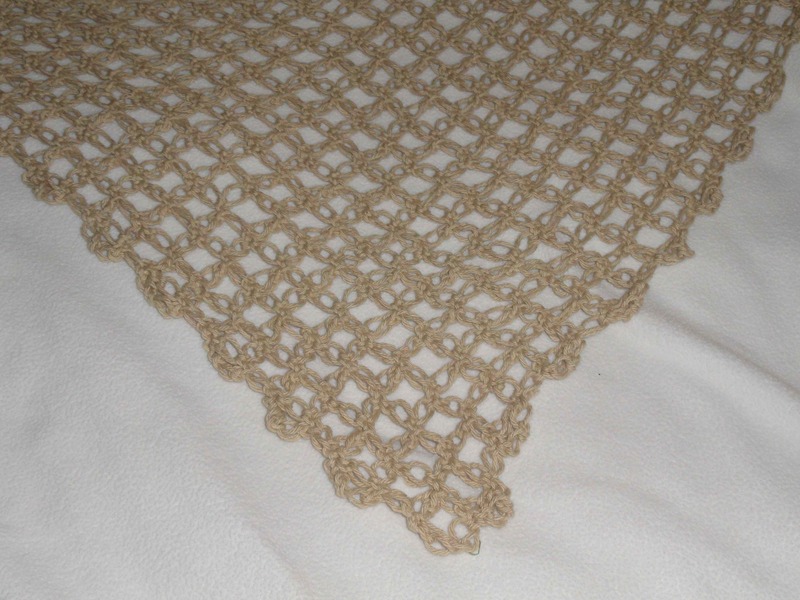 I finally had a chance to try the lover’s knot stitch and found it to be a fun change of pace. 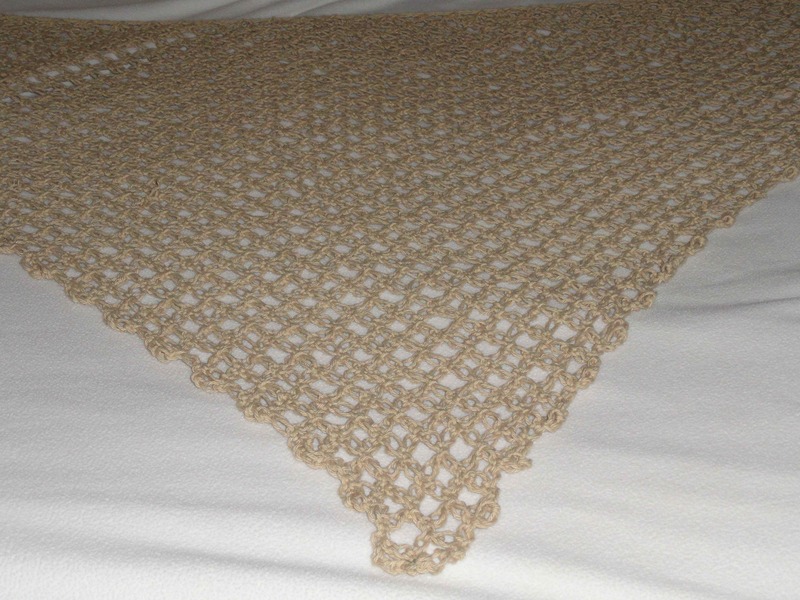 It worked up quickly and I think this light-weight spring shawl will be quite versatile in this neutral tan cotton.